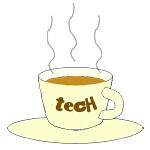 holiday « Tech bytes for tea? A new dawn to a new day. A new year for a new beginning. I hope this sunrise is symbolic of the hope that the new year brings to those looking for a new beginning in their lives. Taken handheld using a Nikon D750 with AF-S Nikkor 24-120mm f/4G ED VR lens. Photo credit: John Tan. Here’s wishing everyone a fantastic 2016, a new year that will bring new aspirations and immense fulfillment. Snapped this shot while strolling on the beach in Thailand a few weeks ago in pre-dawn darkness. It was a rare shot for me in that the horizon was clear of the usual haze and layer of clouds so the rising sun could be seen emerging from the horizon itself. It was breathtaking how the nascent sun lit up the sky with golden and red hues as it tore itself from the horizon. Photo of the Day: The Eiffel Tower is an iron lattice tower designed and built by Alexandre Gustave Eiffel in 1889 – as the entrance arch to the World’s Fair in that year. Eiffel Tower as seen from the Pont d’Iéna. Taken with a Canon EOS 7D Mark II with EF-S 18-135mm f3.5-5.6 IS STM kit lens. Sepia tint added using Adobe Photoshop CC 2015. Photo credit: John Tan. At 324m tall, the Eiffel Tower is the tallest structure in Paris, and was the tallest in the world for 41 years from 1889 to 1930. It was surpassed in 1930 by the Chrysler Building in New York City. Roughly 80 stories high, the base is square with 125m on each side. There are three levels that visitors can visit. I like the lace-like design in the metalwork of the Eiffel Tower. Taken with a Canon EOS 7D Mark II with EF-S 18-135mm f3.5-5.6 IS STM kit lens. Photo credit: John Tan.